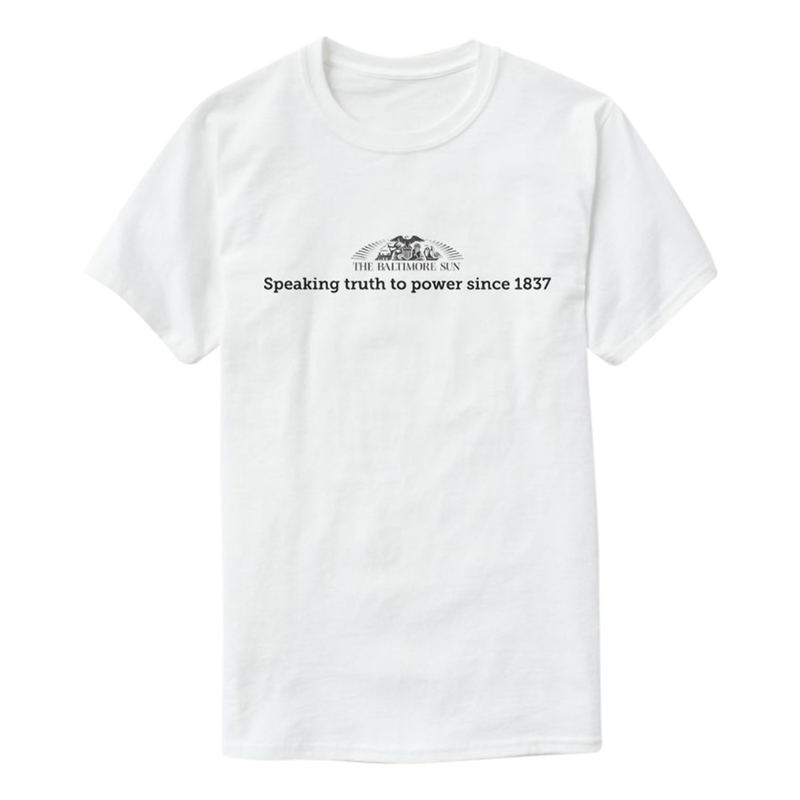 Celebrate our country's freedom of the press with this 100% cotton t-shirt featuring the phrase "Speaking truth to power since 1837". I bought a second shirt because I wore my first one out after three or four years. It is my favorite of all B'more shirts I have owned, and is convenient to have it on when explaining to those who would exercise power over me why they are wrong.